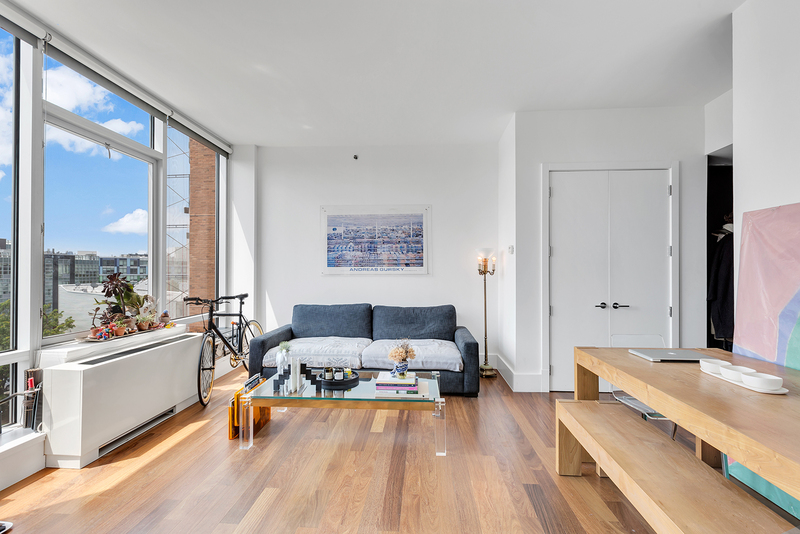 Enter into this high floor loft-like 1-bed, 1.5-bath with 40 feet of south facing, floor-to-ceiling glass offering stunning natural light all day long. Apartment 6F has 9.5-foot ceilings, a state-of-the art open kitchen outfitted with Wolf and Sub-Zero appliances, a massive bedroom with en-suite bathroom fitted with a deep soaking Zuma tub plus walk-in shower. 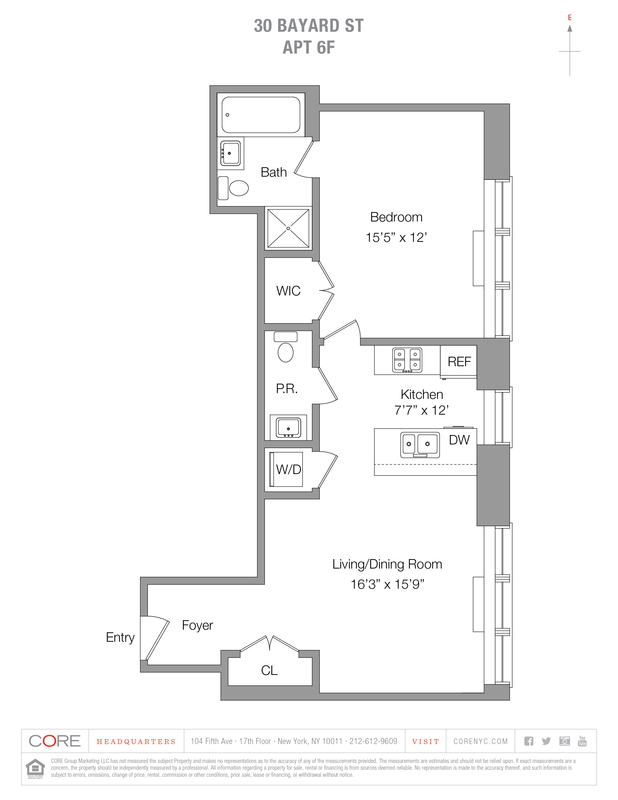 The F line is the largest one-bedroom line at 30 Bayard and also features a powder room, washer/dryer and generous storage space including a walk-in closet in the bedroom.